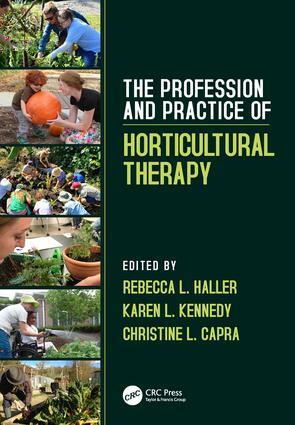 The Profession and Practice of Horticultural Therapy is a comprehensive guide to the theories that horticultural therapists use as a foundation for their practice and provides wide-ranging illustrative models of programming. This book aims to enhance understanding and provide insight into the profession for both new and experienced practitioners. It is directed to students in the field, along with health care and human service professionals, to successfully develop and manage horticultural therapy programming. The book is organized into four sections: an overview of the horticultural therapy profession, theories supporting horticultural therapy use, models for programs, and tools for the therapist. Horticultural therapy serves the needs of the whole individual when practitioners have a broad and deep comprehension of the theories, techniques, and strategies for effective program development and management. The Profession and Practice of Horticultural Therapy provides relevant and current information on the field with the intent to inspire best practices and creative, effective programs.